Western Power has been delivering energy safely, reliably and efficiently for more than 70 years to residents and businesses across Western Australia. 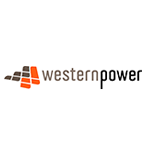 Despite being a state government owned corporation, with the rapidly changing landscape and customer energy needs evolving, Western Power continues to strive to keep their customer connected every step of the way. With this in mind, the organisation has undergone a process to implementing a new CRM which will help the contact centre and other customer contact points to move with the customer in their changing energy future.